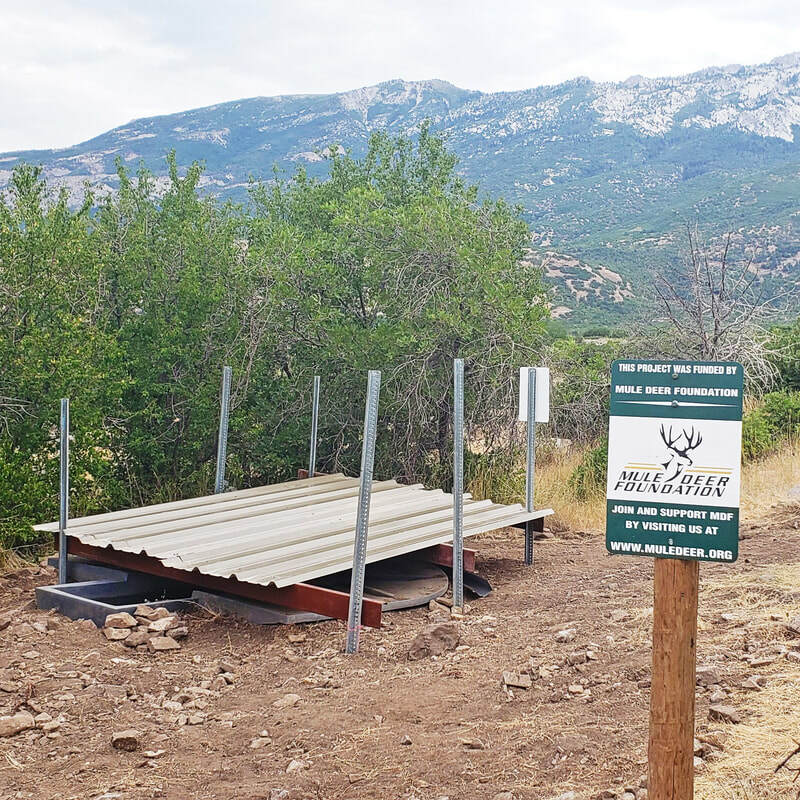 In July of 2018, the Mule Deer Foundation in partnership with the Utah Division of Wildlife Resources and Alpine City installed a wildlife guzzler along the Indian path west of the water tower in Lambert Park. A wildlife guzzler is a water tank that catches rain and snow and stores it so that wildlife can drink water from it even during the driest times of year. The guzzler can hold approximately 500 gallons of water when full. It will provide water for birds, small mammals, deer, and many other wildlife species that use the park. ​Besides providing needed water for wildlife, it should reduce the amount of deer that come into the city for water. If they have a water source they will come down from the mountain and instead of going all the way into the City to get water from creeks they will drink from this guzzler and return to the mountains. This should, then, reduce the amount of deer that find refuge within Alpine.